Well as of this past week I have decided to go and build my dang Crown Vic GT with what I have. 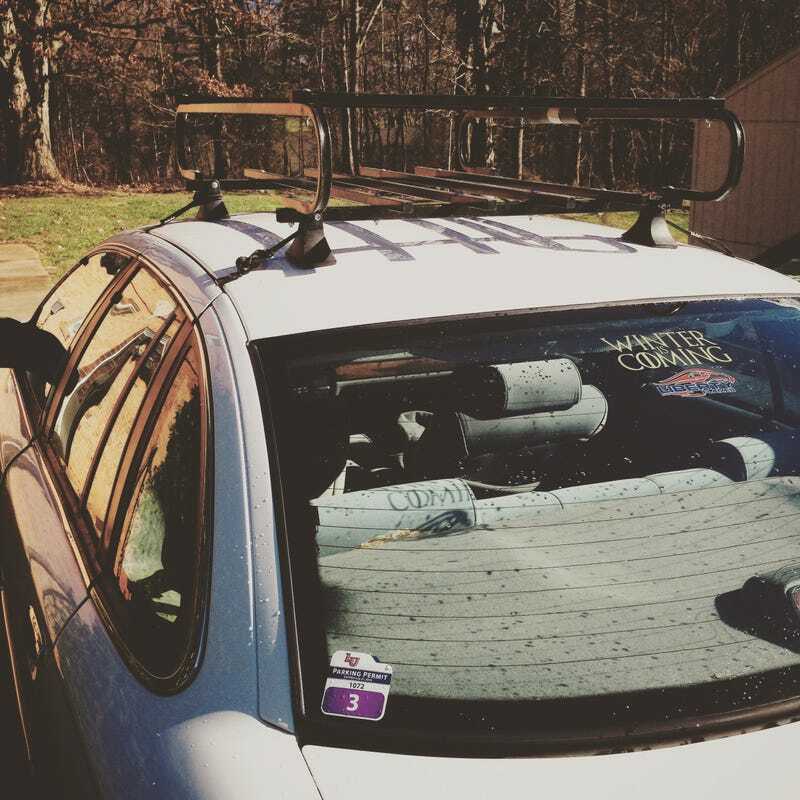 Starting with this $10 roof rack. Next my roommate and I have decided to fix my leaky valve seals with new heads from a mustang GT.